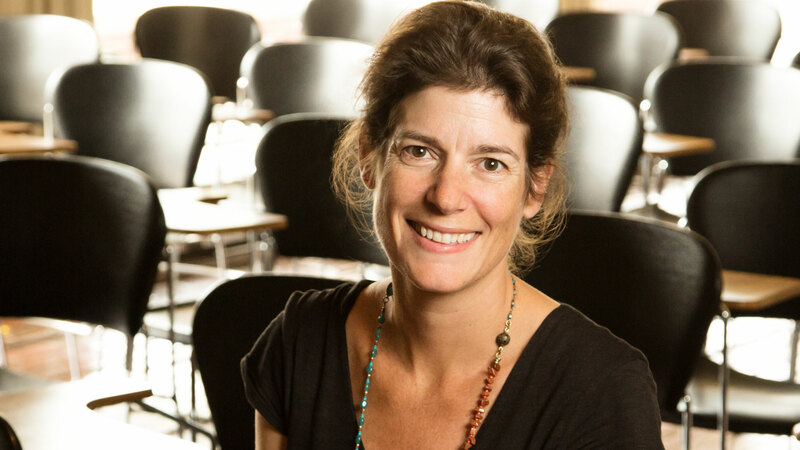 Eva Pomerantz is a professor of psychology at the University of Illinois, who studies how to facilitate children’s motivation and achievement in school. Of the many factors that determine a child’s performance at school, the home environment – particularly parents’ involvement in children’s learning – is key, says U. of I. psychology professor Eva Pomerantz, who studies how to facilitate children’s motivation and achievement in school. She spoke to News Bureau life sciences editor Diana Yates about the lessons parents can take away from her years of research. With the start of school, students and their parents often dread the onslaught of homework. What can parents do to ensure that homework goes smoothly? Many children, even those who are high-achieving, can become frustrated with homework. In response, parents often step in to help. This can create problems, however, if parents themselves become frustrated and try to take over. When this happens, children not only don’t learn from their homework, they also lose their sense of autonomy. Although it may be difficult for many of us, we must put children in the driver’s seat, so they know they are in charge of their homework. This doesn’t mean that parents should disappear. A key role for parents is to help children come up with ideas about when, where and how best to do their homework. Parents can ask children what they think would be the most effective strategy for getting their homework done. While parents may need to point out when a plan isn’t realistic, it should be children who come up with the plan. This will put them in control, making it more likely they will follow through on their own. Many students encounter difficulty in doing their homework. What should parents do when students are having problems? As parents, we often want to jump in and fix things for children when they are struggling. We also have our own anxieties – for example, about what difficulty means for our children’s future – that lead us to take over. But doing too much for children can undermine their motivation and achievement in school. Our research suggests that parents are an important emotional resource: If they are encouraging and positive about homework, parents can help children enjoy learning, cheering them on and helping them find their way when they ask for assistance. The kitchen table can be an inviting place for homework. Children can do their homework while parents cook, clean or do their own work. Parents are busy, so they don’t necessarily jump in. But they are there when their children need them. A parent’s job is not to figure things out for children, but to support them in figuring it out themselves – for example, by asking guiding questions. What advice can you offer parents who are trying to balance the demands of school, homework, extracurricular activities and sleep? It is clear from recent research that children need to get enough sleep. Lack of sleep impairs their functioning in every area of their lives, including their learning in school. Beyond this, parents need to consider the needs and desires of their particular child. Some children thrive on activity and may be more efficient with homework when they have lots of other things going on as well. Others prefer some down time and may not like to feel rushed. Children should have a say in their extracurricular activities, but so should parents. If parents are stressed as a result of all that their children need to do, they cannot parent at their best. How should parents respond to children’s performance at school? Research suggests, first, that parents should refrain from focusing on children’s abilities (“You’re a spelling whiz!”) and instead point out how important it is to make an effort (“I saw how carefully you went over those words!”). Second, rewards and punishments can backfire because children may strive to do well in school simply to avoid the negative consequences that will occur if they do not do well. This pressure can cause them to lose their internal motivation. Third, we often want to make children feel good by praising them, especially children who have low self-esteem. However, research indicates that too much praise can have costs as children become dependent on it, seeing its absence as an indication that they are unworthy. What messages or actions best support students’ academic achievement without damaging their emotional wellbeing? Research suggests three central principles to guide parents: First, be involved in your children’s learning. For example, ask them what they did in math today. Second, let children be in charge of their learning. Provide support when they ask for it, but make sure they are in the driver’s seat. Third, focus on children’s effort rather than their ability, because they need to understand that persistence is what’s important.